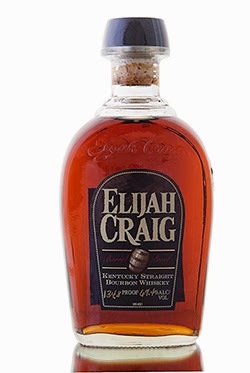 Elijah Craig Barrel Proof is a small batch 12 year old bourbon by Heaven Hill Distilleries. Bottled cask strength, this batch in question has a whopping 67,4% alcohol per volume level. I had to test this devil neat and boy oh boy, was it spicy and strong! Tough but good bourbon to chew on. And I really mean the phrase chew, because this is as thick as it can get. And what about the colour? It’s so dark, that it is like “the color of pan drippings after frying up a steak”, like Drinkhacker nicely puts it. 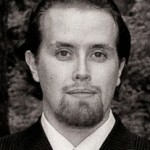 Mahogany is a good definiton by Victor at Connosr, so I’ll steal it for my review. 12YO Elijah Craig bourbon at 67,4% ABV level. This bourbon is like fighting a close friend and going out for drinks afterwards. You are getting beaten, but it feels good. Elijah Craig Barrel Proof is like a hockey Goon, that is a good friend of yours. And you have to fight him in order to find pleasure. Sounds weird, I know. But that’s just what this strong alcohol in the form of straight whiskey does. 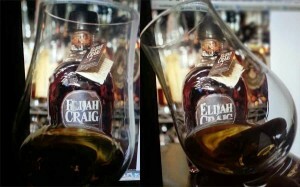 And Elijah Craig does it with great value for money. You have to buy this if you get a chance. Nose: Without water it’s peppery hot. Mahogany and maple, waxy honey and corn. Floral notes rise from the back. Taste: Very thick and velvety oily. Syrupy, sweet and sour. Warming cinnamon, strong rye and black pepper. Finish: Strong, warming spices, oak and oil. Bitter, dark chocolate. Balance: Burning, yet pleasant straight bourbon whiskey from Kentucky. In great balance, offering sour, spicy and sweet enjoyment all the way! Elijah Craig at barrel proof makes you want to take artsy pictures of it.